shape. The goal was no two pieces alike. I didn't intend for that to happen. As I said in an earlier post I feel confident that the name Charm Quilt was in use in the 1870s. 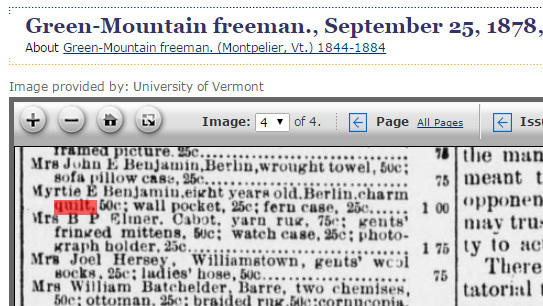 Here in 1878 is a reference to 8-year-old Myrtie Benjamin winning 50 cents for a charm quilt at the fair in Montpelier, Vermont. 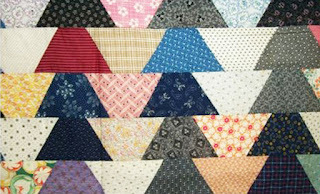 But the idea of specifically choosing fabrics with no repeats is decades older. I recently found a reference in 1837 to Lucy J. Bowler's entries in the Massachusetts Charitable Mechanics Association Fair. She entered two. "In one, every square is a different style." 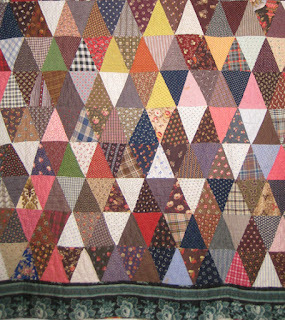 That might refer to a sampler in which the blocks are different patchwork patterns, but it could refer to fabrics. I've been finding period names other than "charm" for the idea. 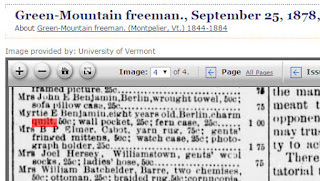 One name is Odd Fellows as in the above 1876 explanation in the Christian Monitor. 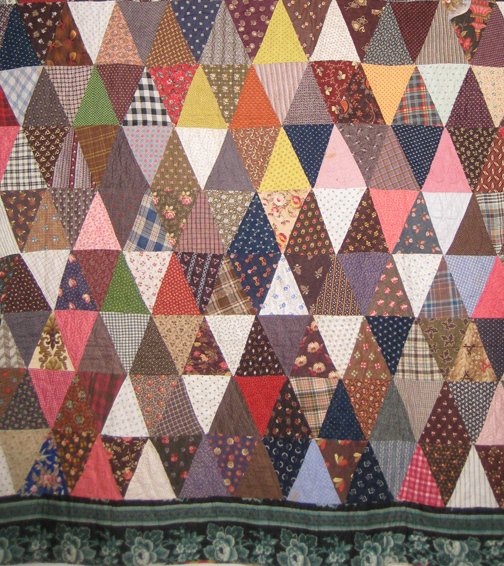 The author suggests a diamond for use in "one kind of patchwork known as Beggars quilt,' or having no two pieces alike they call it 'Odd Fellows.'" 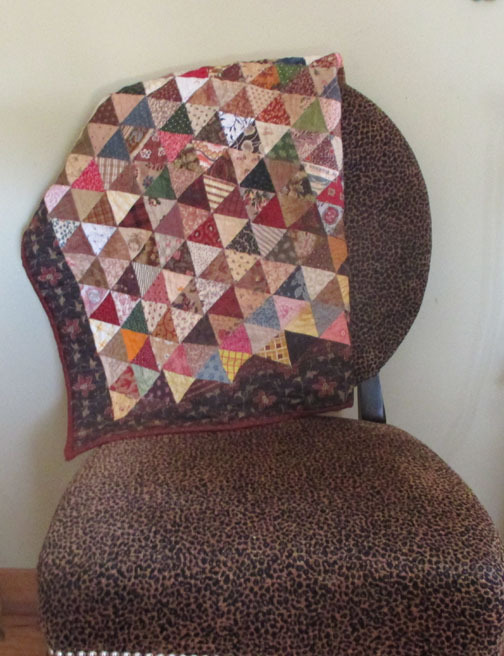 I'm guessing that a Beggar's quilt here is a scrap quilt and an Odd Fellows is a charm quilt. 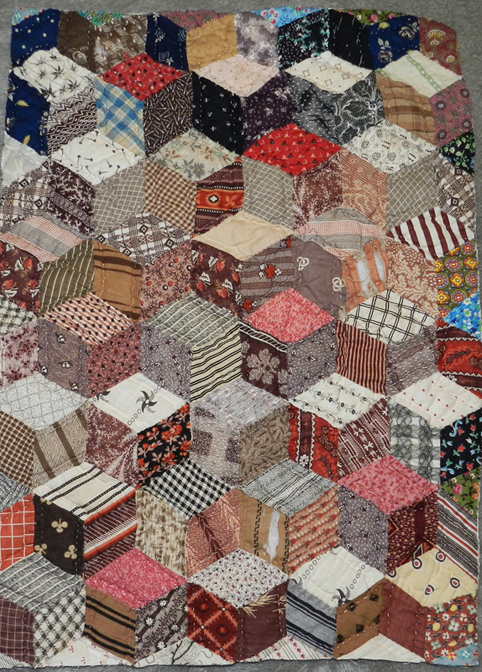 Mrs. John Middleworth of Detroit won a prize with an "Odd Fellow's quilt patch work" in the 1856 Michigan Agricultural Fair. 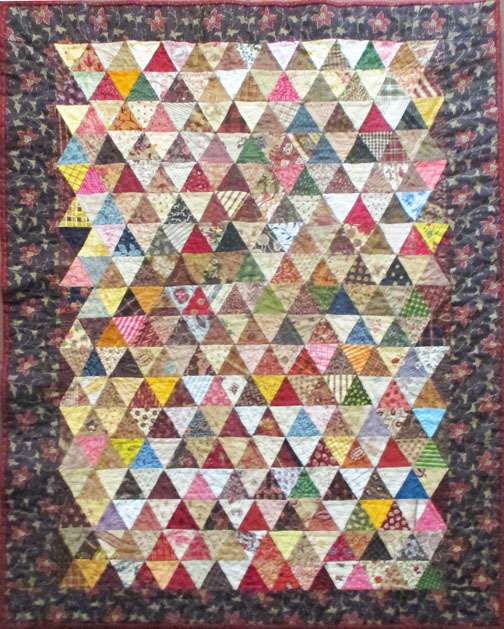 Below Harriet Stanley won a prize in 1853 in Washington City in the Mechanics Fair with her Odd Fellows' delight. 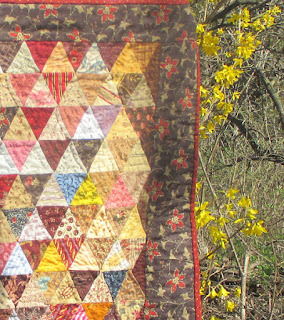 But because there are no pictures we have no idea what these Odd Fellow's quilts might look like. 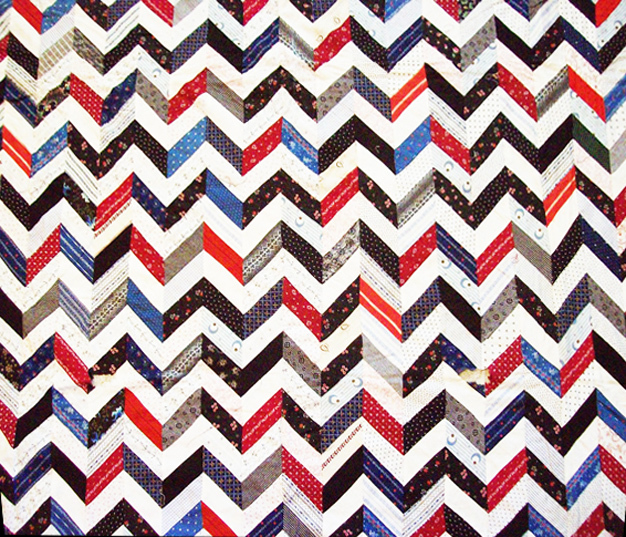 I've been sorting pictures and names for tessellated designs, the kind of pattern used for charm quilts. 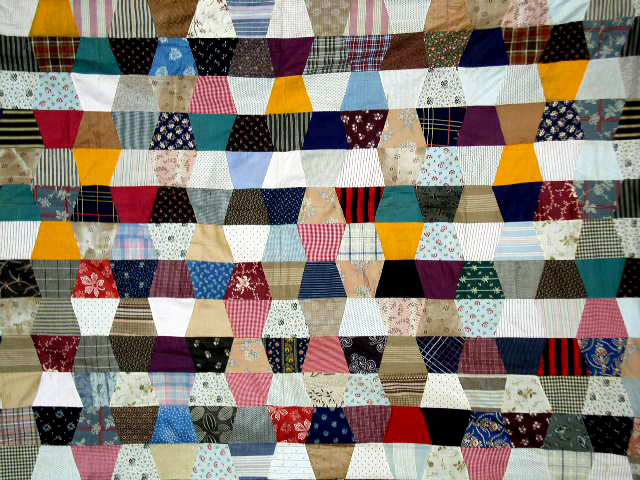 But couldn't Beggars' Quilt refer to the need for someone making a charm quilt to beg pieces of different fabrics from her friends and acquaintances? Could. But they seem to think they are two different styles. 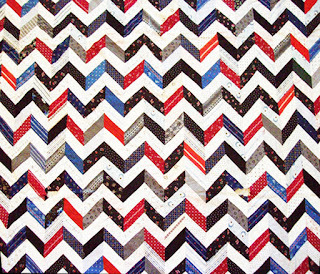 Get 30%-70% Discount from FZillion.com on all branded and at very batter discount from Amazon and Ebay Coverlet Quilts . I would love to know where you found the reference of the entry for the quilt entered in the Mechanics Association show? 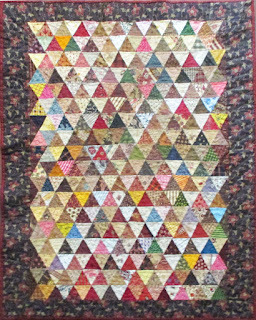 I am actually researching another piece that was shown there and would love to see if I can find more information and documentation on it. my email is dlayman at neo dot rr dot com if you could email me I would greatly appreciate it! !